Relative Dating: Doesn’t mean an archaeologist is dating his Aunt Betty…. Relative dating gives you the age of an artifact in relation to another object. – Type dating (Seriation): types of artifacts are arranged chronologically according to style. Type dating can be done with modern cars to stone tools. Fluorine Dating: Bones buried at the same time will absorb the same amount of fluorine from the soil which means they must be the same age. Calendar Dating: According to the New York Times, the best day to go on a date is Wednesday…. Chronometric dating: Measures the time since something has elapsed. 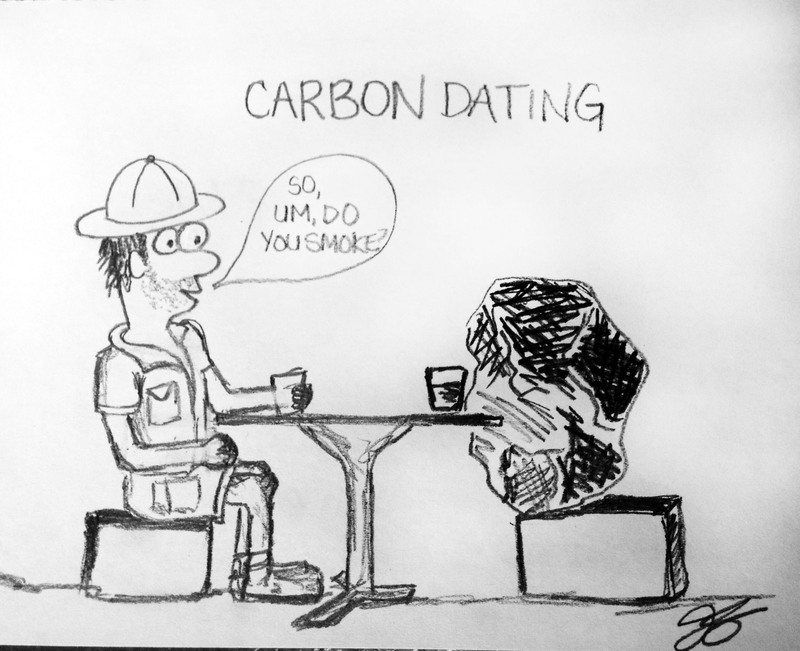 Radiocarbon Dating: This method is based on the radioactive decay of carbon-14 isotope (14C). When a carbon-based organism dies, any 14C absorbed during its life begins radioactive decay at a rate measured by “half-life” (how long it takes half of it to decay). 14C has a half life of 5,730 years. A mass spectrometer is used to measure how much of the half life is left and calculates the time that has elapsed since it died. Problem: it has been discovered that levels of 14C in the atmosphere fluctuated in the past but has been calibrated by comparison to dendrochonological records. Archaeologists & physicists can only date organisms as old as 50,000 years with this method. This method measures the radioactive decay of potassium into argon gas. It has a “half life” of 1.31 billion years but the artifact needs to have the required minerals (such as mica, clay minerals, tephra, and evaporites). Archaeomagnetism: Archaeologists are so attracting! Iron particles in heated soil align themselves with the poles. The North Pole’s magnetic field shifts at a known rate so archaeologists can measure the magnetic alignment in the ground and compare it with today’s alignment. Thermoluminescence Dating: This is where things get really hot! Measures the accumulated radiation dose of the time since the artifact containing crystalline mineral was heated (ceramics) or exposed to sun. White, Nancy Marie. Archaeology for Dummies. Hoboken, NJ : Wiley Publishing, Inc., 2008. Print.